It's Right to Read week next week and that means it's time to get the library all decked out! 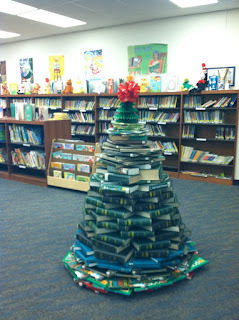 This morning I spent some time with the help of several students creating out Reading Tree! Love it! I'm not sure of it's orignal source, or where I found it really? Maybe Pinterest? Hands down the best part is watching the student's reaction when the walk in= awesome. We are celebrating all week next week. Wednesday- The spirit of giving (instead of picking a theme we are focusing on giving to local nursing homes both in donations and in handmade Christmas cards. Get excited! And more importantly get reading! Potential Life Changing Video about Poop and a Fun Chicken One too! Today at school, several middle school students were raving about the YouTube Channel "Learn Something Every Day". I can't miss something like that so I had to check it out! I loved it! Check out this potentially life changing video... probably not in the way you are imagining but interesting and enlightening nonetheless. If you watched videos, did you learn something???? Have you seen this yet? The Library of Congress's Chronicling America website is digitalizing newspapers from the past. The description from the website says: "Search America's historic newspapers pages from 1836-1922 or use the U.S. Newspaper Directory to find information about the American newspapers published between 1690-present. Chronicling American is sponsored jointly by the National Endowment for the Humanities and the Library of Congress. Locally in Ohio the newest additions include The Dayton Daily Empire (Dayton), Hancock Jefferson (Findlay), Findlay Jeffersonian, Jeffersonian Democrat (Chardon), Stark County Democrat (Canton), Tiffin Tribune (1848), Tiffin Weekly Tribune, and Tiffin Tribune (1868). I first learned of this site from the Ohio Resource Center- another amazing must see site! My very own handwriting font!!! I can finally cross this off of my bucket list! I now have a font of my very own handwriting! And, it was way easy. I will hopefully take the time very soon and do a nice copy, but I did this one very quickly just to see if I could and I can! Holy Smokes! I have my very own handwriting as a font! :-D Just to show how excited I am, here's a screen shot! Crazy isn't it! Want to make your own font? I did it through the app iFontMaker. It is a $6.99 purchase but so far it has been worth it. :-) Check it out! And let me know if you like it! This has very little educational value but man is it fun! I love doing it in those extra few minutes of class before the bell rings- it is also really good for helping young students learn mouse control. Draw A Stickman takes your stickman drawing and brings it to life! Seriously, take a minute and play you will be glad that you did! It's Monday and that means freebies! Wahoo! One of my favorites. 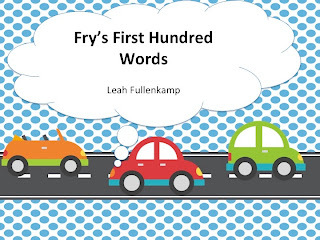 :-) This weeks freebie is something every parent and teacher needs! Preparing for the Common Core is a huge task as any teacher can tell you. Sometimes, even understanding what the standards are trying to say can be a big problem. 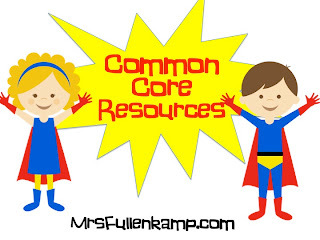 In collaboration with several others we have created 9 different math common core guides. These guides would be a great resource for parents to understand what is being asked, what developing, proficient, and advanced skills look like. 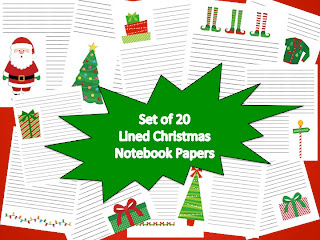 You can grab all of these at MrsFullenkamp.com on the Common Core Resource Page or by clicking the links below. While you are here, take a minute to link up your teacher page if you are interested! 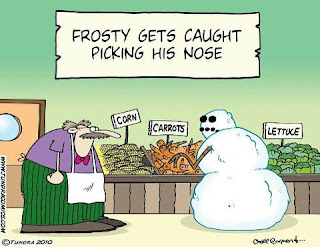 :-D Have a great day! Remember clippy? You know that little pop up paper clip that was always giving advice while using Microsoft Office? 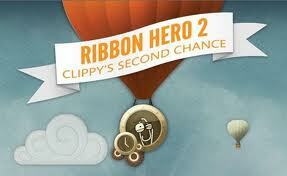 Clippy is getting a second chance! Microsoft has created a game atmosphere to learn all of the hidden features of Office. This is a FREE download and runs on Office 2007 and 2010. I've always considered myself a proficient user of Office but I learned a ton! 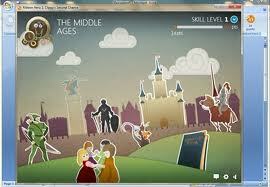 You get points for completing tasks, using shortcuts, and learning more about the ribbon at the top of the screen. You travel through different time periods and interact with the data that you are given. If you are ever in charge of teaching computer literacy to late elementary, middle school, or high school students this would be an AMAZING activity! Seriously. Everything is laid out. It's fun. It's competitive. And you can show document progress of your learning! What more could you ask for! When I teach Microsoft Innovative Educator classes it is always one of the favorite activities among teachers. Check it out. You will be glad that you did and surprised at the time it will save you doing day to day tasks! Let me know what your high score is! The spirit of Christmas is in the air! Check out http://reindeercam.com/ This site features a live feed of Santa's Reindeer!!! 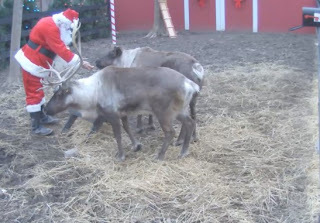 Everyday between November 16th to December 24th you can watch Santa himself feed the Reindeer at 11am, 6pm, and 9pm EST. There is also an app so you can watch Santa on the go, for only $1.99 you cannot go wrong! I'm downloading it right now! I'm so excited about this! It is only a minute or two until 9 so I need to go so we can watch Santa! What are your favorite songs of his? Do you have any others that are awesome for brain breaks? Holy Smokes! I've been nominated for the Liebster Award! Three Times! Thanks to Kindergarten Faith, A Basket Full of Apples, and Mrs. Payton! In German, Liebster means dearest and this award is given by bloggers to up and coming bloggers who have less than 200 followers. It is to show new bloggers that they are appreciated and to help spread the word about their new blogs. -You must post 11 random things about yourself. -Answer the questions that the nominator set for you. -Choose 11 blogs you love (with less than 200 followers) and link them in your post. This is my 8th year in Education! I have been at three different schools in four different positions. I LOVE, LOVE, LOVE doing Professional Development! My goal is to one day provide professional development full time. I have two amazing children! The are even more ornery than their father! When I read a novel, the world stops- laundry piles up, dishes don't get done, and I don't even check my e-mail. I am a Google Apps for Education Certified Trainer, Microsoft Innovative Educator Master Trainer, and a SMART Exemplary Educator. I love web site development. There is nothing quite like it- I love the ability that I can create something that anyone worldwide can visit at any time and get a glimpse into my world. I would like to become a Master Teacher one day. Has anyone done this? October of this year. I have a goal of 50 posts by Christmas... I'm almost there! I find amazing things online and wanted a place to share my ramblings about what I find. I keep track of all of my favorite websites and activities on MrsFullenkamp.com and wanted somewhere to talk about what I have found. 3. If there was one thing that you could share with new teachers what would it be? Do not spend your life savings on materials for your classroom that first year. I inherited a ton of amazing material from retiring teachers, garage sales, and from my own children. I cringe when I think about how much I spent that first year. Learn. Dorky as it sounds, I love learning something new tech wise everyday. 5. What is your favorite kind of ice-cream? 6. Would you rather snow ski or swim in the ocean? Swim in the Ocean. Hands down. 8. What is the craziest thing a student has ever told you? 9. What is something you have learned from your students? 10. What do you look forward to the most about blogging? 1. What is your favorite place to travel to? Boston! I love that place! 2. What is your favorite thing to do when you are not at school? Play with my two sweet babies! 3. What is your favorite blog to follow? 4. What is your favorite thing to do with your class? 5. What is your favorite Christmas song? 6. What is your advice for a new teacher? 7. What is your favorite site to get cute clipart? 8. What is your favorite children's book? 9. What is your favorite grown up book? 10. What is your favorite food treat? 11. What is your best accomplishment? Becoming a Google Certified Trainer! Wahoo! To keep a record of my learning and teaching throughout the year. 2. If you didn't teach the grade you taught, what grade would you teach? 3. What's your favorite thing about teaching? 4. Favorite place to shop? Target!!!! The best place ever! 7. Favorite place to vacation? Punta Cana for our honeymoon was AMAZING! 8. How long have you been teaching? This is my 8th year. I honestly cannot believe it has been that long! 9. What job would you have if you weren't a teacher? 10. What is your least favorite thing about teaching? 11. What is the best thing that has ever happened to you? My two sweet little kids! 3. Do you have children? 5. What position would you like to retire in? 6. What state/country are you in? 7. What technology do you have in your classroom? 8. What piece of technology would you like to have? 9. Do you have a classroom theme? 10. What is your number one selling item on Teachers Pay Teachers if you sell? 11. What is your favorite freebie you have found on TpT? A bit of shameless self promotion. I apologize in advance, I won't make this a habit. I have been spending YEARS creating and sharing resources on various sites at no cost, anyhow I joined TeachersPayTeachers and only posted free items for a very long time but I have just posted my first paid items. I know a huge step... I'm sure I won't get rich but hopefully I sell something to at least put a little dent into my monthly clipart bill, or the costs of keeping MrsFullenkamp.com running. So here are my first resources available for purchase! You can get all five of these downloads on MrsFullenkamp.com I have been working on this site for about 5 years. 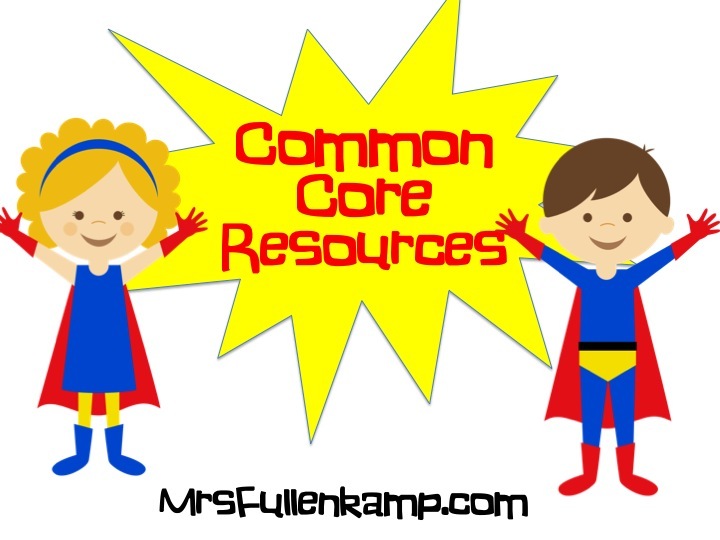 Whenever I find a resource that I don't want to loose I put it on here- almost like Pinterest before Pinterest! However, these are all kid appropriate resources- something that I would feel comfortable sending home with students to practice at home. 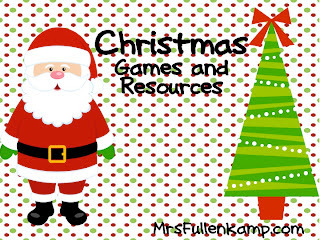 :-) Check out these games to help support your math instruction. Be sure to like MrsFullenkamp.com on Facebook to stay updated on all of the latest additions. :-) Please feel free to share this resource with your students and parents! If you have any other ideas for more of these type PowerPoints/Resources please let me know. I enjoy making them! Have you heard? On Monday and Tuesday there will be a huge Cyber Monday and bonus Tuesday sale where stores will be discounted up to 30%. That's huge! Everything in my store will be 30% off! :-) Get your wish lists ready so you will be able to quickly find what you are looking for. Very exciting! On a side note I had my very first sale! WAHOO! 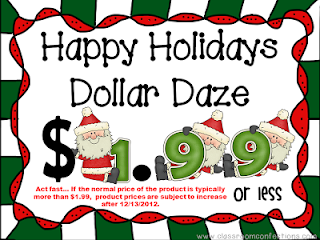 Tons of downloads on the free material but a sale on a paid item! Awesome! Remember this? It is amazing how quickly things change and how easily I forget what things used to look like! This is from BuzzFeed's article of 48 things that will make you feel old. Check. It worked! 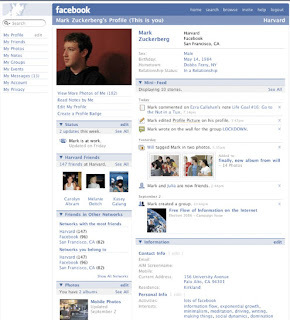 How long have you been on Facebook? Do you like MrsFullenkamp.com's facebook page? Have you seen this YouTube Channel yet? http://www.youtube.com/user/mrericsully Mr. Sully is a Chemistry teacher that I have had the extreme pleasure of working with. He tapes all of his experiments and posts them to his own YouTube Channel. It is amazing the amount of demonstrations that he does with his students and the are loving it. I love that he explains not only what is happening but also the why. These videos seriously make me wonder why I didn't take Chemistry in high school! Take some time and look at these, there is no shortage of flames and explosions! While you are there, be sure to become a follower of his YouTube Channel! Check out this and other Chemistry resources here. Check out other Web 2.0 Tools on MrsFullenkamp.com So will you Wordle? Even though my very last post was about Christmas, I'm going to back up a little and talk about Thanksgiving. 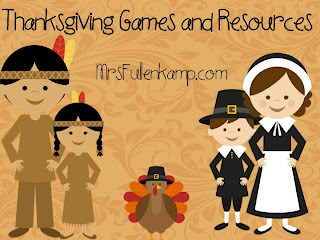 I have compiled several games, information, and a video about Thanksgiving. I have gone through all of these games and activities and all are very student friendly. :-) You can check out these activities here. If you are anything like me, you are a little bit panicky about this whole common core thing! ;-) I've been trying to add all of the quality resources that I have found to one central location. I haven't really added anything with people selling stuff because there is nothing worse than finding something amazing and then realizing that it costs more than you make in a week. :-) I know it is a necessary evil, but see what you can get for free before you buy lots of things! Check out these resources and let me know the ones that I need to add! Hope that you were as amused as I was! On a side note, here are some helpful tips to create a strong password that is easy to remember. And here is the list of the 370 most common passwords used on Twitter, but I imagine that the list fairly universal. If yours is on the list, I would strongly consider changing it! Do you have any helpful password tips? Have you heard of this site? It is seriously one of the easiest sites ever to use. You type in any word that you would like and then click spell. The site then pulls images of letters off of Flickr to make your word. You can click each letter to change how it appears in your word. Awesome! I made a quick tutorial video that is embedded below you can also view it on MrsFullenkamp.com on the Technology Page. I'm hoping to make this a regular thing so if there are other sites you want covered first let me know! What Do You Love? Is a Google Sponsored Site where you type in what you love and you are given a quick overview of what is on the web in regards to your topic. Results include: Translations, Popularity, books, Explore in 3D, videos, pictures, alerts, find nearby, patents, debates, e-mail, earth, events, blogs, and several more. This would be a great way for students to select a topic- they are able to see just at a glance if their topic is what they think it is. It would help to eliminate things that are not interesting to them right off of the bat. 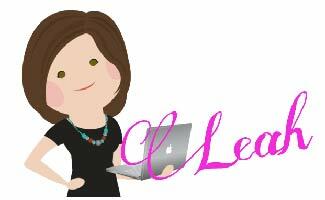 You can find this site along with many others on MrsFullenkamp.com on the Technology Tools Page.So, What is it that you love? Where you surprised to get the results that came up? 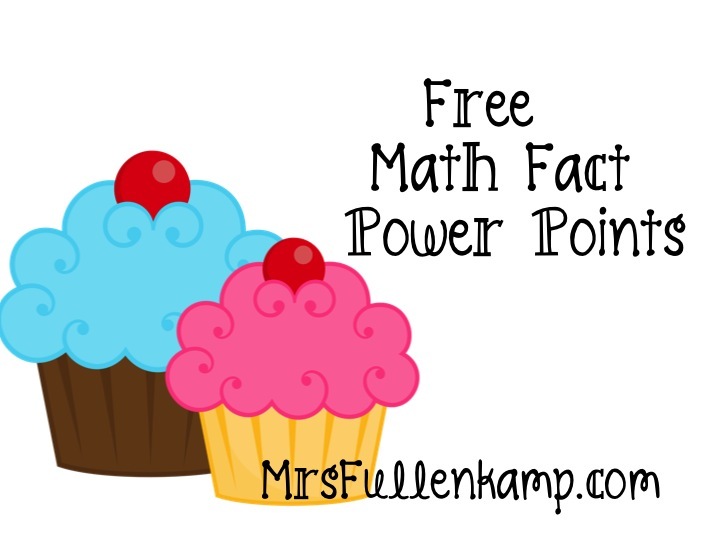 Check out these FIVE free math fact Power Points! I have addition, subtraction, multiplication, division, and basic algebra. I often used these in the morning while the kids were coming in, or at a time when I wasn't directly teaching. A little extra math review is always a good thing! 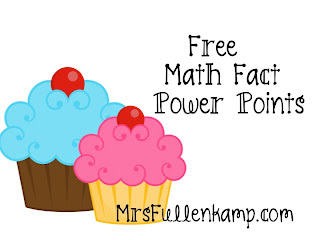 You can snag these on MrsFullenkamp.com on the Math Facts Page. Have ideas for more? Please let me know! Also, if you want to check out tons of other freebies, take a look at the link below!